This edition has been revised to stress the use of modern Fortran throughout: Key features: lots of clear, simple and complete examples highlighting the, core language features of modern Fortran including data typing, array processing, control structures functions, subroutines, user defined types and pointers, pinpoints common problems that occur when programming, has sample output from a variety of compilers, expands on the first edition, by introducing modules as soon as the fundamental language features have been covered. Modules are the major organisational feature of Fortran and are the equivalent of classes in other languages, major new features covered in this edition include, introduction to object oriented programming in Fortran introduction to parallel programming in Fortran using MPI, OpenMP and Coarray Fortra, this edition has three target audiences the complete beginner existing Fortran programmers wishing to update their code those with programming experience in other languages Ian Chivers and Jane Sleightholme are the joint owners of comp-fortran-90 which is a lively forum for the exchange of technical details of the Fortran language. 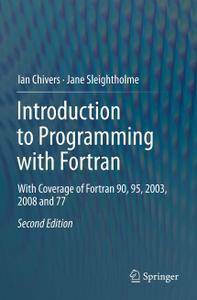 Ian is the editor of the ACM Fortran Forum and both Jane and Ian have both been involved in the Fortran standardisation process. 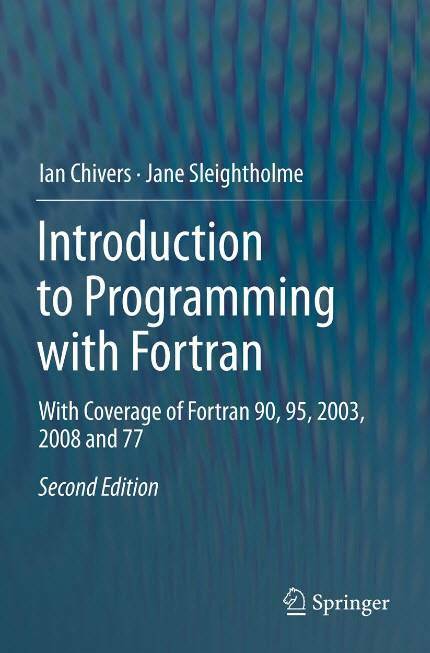 The authors have been teaching and supporting Fortran and related areas for over 30 years and their latest book reflects the lessons that have been learnt from this.